Collins Crime Club. Hardcover. 0008283028 . Very Good. Collins Crime Club. Hardcover. 0008283028 Brand New ,Original Book , Direct from Source , Express 5-8 Business days worldwide Delivery. . New. Grosset & Dunlap, 1936 Grosset & Dunlap, 1936 308 pp. Text is clean, tight and unmarked, toned. Previous owner's name on front endpapers. Black cloth boards are intact but rubbed. Hardcover. Good/No Jacket. 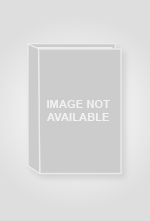 8vo - over 7¾" - 9¾" tall.. Hardcover. Good/No Jacket. J. P. Lippincott,, 1936. HB NODJ, Bright RED Cloth front Cover lettered Decorated in Black light Wear, 1936, 1st edition, 2nd Printing , NF/VG, NODJ, Interior nice, tight Clean, LIGHT FOXing Aging to Pgs Light Wear, 308 pgs, CVR Spine Sunned, 8 VO., SLIGHT Lean Book. First Edition. Hard Cover. J. P. Lippincott,, 1936. HB NODJ, Bright RED Cloth front Cover lettered Decorated in Black light Wear Has CREASE front, 1936, 1st edition, 2nd Printing , nF/Vg, NODJ, Interior nice, tight Clean, FOXing Aging to Pgs Light Wear, 308 pgs,Titles Nice Bright, 8 VO., SLIGHT Lean Book, Publishers Red dye top edges Pages. First Edition. Hard Cover. New York, NY: Grosset & Dunlap, Publishers, 1936. 308 pages, 8vo. Very Scarce. Includes dust-jacket. Originally published by J.B. Lippincott Co., this is the First Grosset & Dunlap Reprint Edition, complete and unabridged. Black cloth boards with red-stamped titles and design of sleuth on front cover. Heavy shelfwear to DJ: scuffing along edges and covers, some light smudge marks, tears along spine edges and cover corners have been reinforced with scotch tape. DJ in mylar. Heavy tanning on all page leafs, inside covers and free endpapers. Otherwise, volume is tightly bound with clean and crisp pages. No marks. Volume is in Good condition. DJ in Fair-plus condition.. First Grosset & Dunlap Edition. Hard Cover. Good/Fair in Mylar. Philadelphia (PA) and London (UK): J. B. Lippincott, 1936 398pp. Hinges are weakSpine ends are bumped. Tips and spine ends are rubbed. Edges are dust stained. Front board has many small stains. Spine ends of inside boards have darkened. Former owner book borrowing list pasted to the front endpaper. Former owner name on inside front endpaper. Pages are toning. Front panel of jacket is detached from the spine panel. 4" tear from the top tip of the front flap fold, affecting a portion of the front panel. Tips of flap folds have been clipped. Piece missing from lower tip of rear flap fold. Spine panel is missing pieces including portions of the word "murder" from the title. Rear panel has a lengthwise crease and a small liquid ring. May have other flaws. Text is Clean and Unmarked. . Later Printing. Hard Cover. Good Minus/Poor Jacket. New York: Grosset & Dunlap, 1936. Hardcover. Very Good/Very Good. 8vo - over 7¾ - 9¾" tall. VG/VG, DJ spine missing section, top and bottom, else Very Good in a Brodart protective jacket. 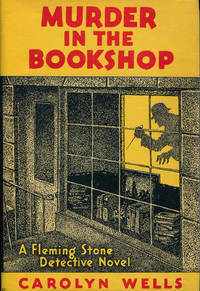 Grosset & Dunlap NY, 1936 .Bilblio Mystery ) HBDJ, 1936, 1st Edition Thus, Hard Cover Very Good- in GOOD+ bright Jacket, AS-IS, Mystery. 8vo. Very clean black cloth boards with red lettering on cover and spine. No bumping or wear. Binding is tight & square, pages are clean but Tanned FOX Thruout .Clean bright illustrated DUSTJACKET has small chip piece missing at foot of spine., and another tiny ones along Extremities & small Tears small stain Extremities. Original price in pencil 50 cents, 308 pages UNCREASED, UNMARKED , DJ spine small end chips & small piece out affect K in Bookon spine, Publishers Red dye top edges Pages . 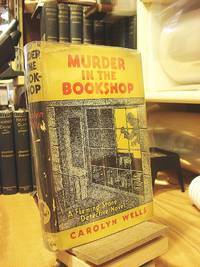 In the latest Fleming Stone detective novel, murder stalks among the rare and valuable volumes of a shop that caters to book collectors.. First Thus. Hard Cover. Philadelphia: J. B. Lippincott Company, 1936. 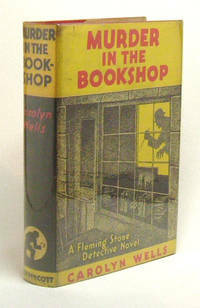 First Edition, no additional printings stated, copyright date of 1936; 8vo, red cloth with black lettering; good+ (cocked; shelfworn; water stains to top edge of front and rear board; bottom edges of boards darkened; wear to bottom edge of front board; spine ends bumped and worn; tips of corners worn to boards; water stain to red dyed top edge, causes small amount of bleeding to corners of eps and pages; edges, eps, and pages toned) in fair dj (toned and soiled; top edge water stained; edges chipped, torn, creased, and worn; title on spine chipped and torn; spine rubbed); 308pp.. First Edition. Hard Cover. Grosset & Dunlap, 1936. HBDJ, Black Cloth lettered Decorated in Red light Wear, 1936, 1St EDition THUS, DJ light Rub, Wear & tiny Small Chips Tears Extremities, In slightly Worn DJ with several 1/8 in. Tears, NF-/VG Interior nice, tighT Clean, FoXiNG Aging to Pgs Light Wear, 308 pGS, Scuff & Rub edges spine DJ, Publishers Red dye top edges PAGes. First Thus. Hard Cover. 1936, 1st edition, near fine condition, red cloth binding, with a near fine dust jacket, minute wear to dust jacket extremities, with a priced unclipped dust jacket flap, published by J.B. Lippincott Company, Philadelphia, 308 pages. 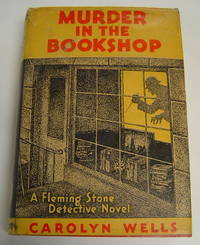 A Fleming Stone bibliomystery, the theft of a rare book and an ensuing muder. Scarce! . Philadelphia: J.B. Lippincott Company, ., 1936. First edition. First edition. Review copy with the review slip laid-in. 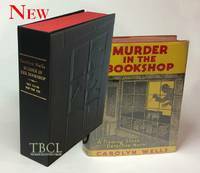 Fine, bright copy in the scarce dust jacket, which is also fine and bright.. A wealthy book collector breaks into a New York antiquarian bookshop with his personal librarian and is found murdered, with a rare book missing. An exceptional copy of a rare book. New York: Lippincott, 1936. First Edition. Hardcover. Dust Jacket Included. New York: Lippincott, 1936. First Edition. Hardcover. An exceptionally nice copy of this sought after Bibliomystery classic in an outstanding example of the rare dustwrapper showing very light use. 8vo. 308 pp. Red cloth lettered in black, top edge stained burgundy. 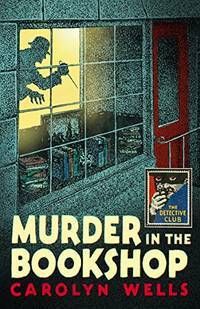 "In the latest Fleming Stone detective novel, murder stalks among the rare and valuable volumes of a shop that caters to book collectors." Murder and Mayhem. A rare $100,000 book disappears. a copy of Taxation Laws of Great Britain and U.S.A., owned, inscribed, signed twice and annotated by Button Gwinnett. Not bad.